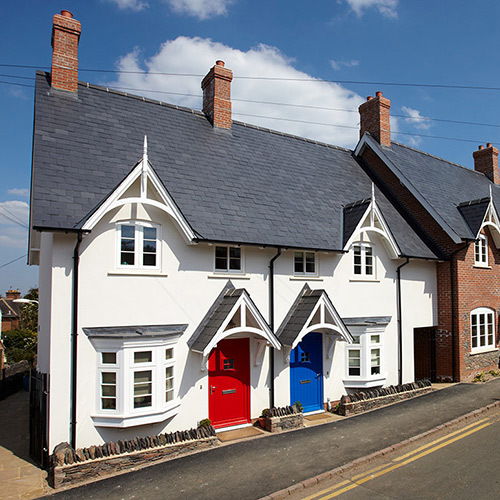 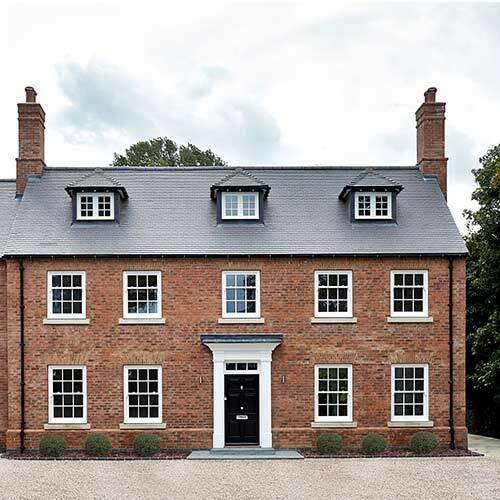 Completed in 2014, Bluegates Farm is a private residence located in Whittington, close to the historic city of Lichfield. 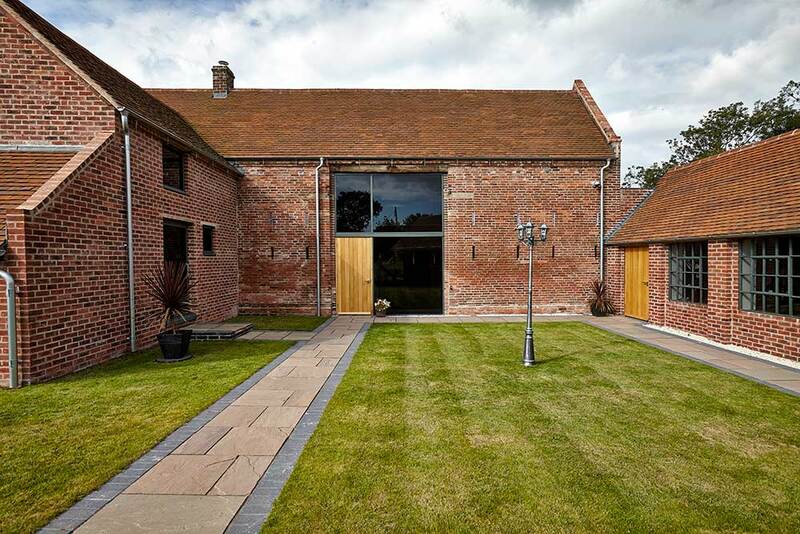 Works were carried out in two phases and included the sensitive repair of the Grade 2 listed farmhouse, the repair and conversion of the Grade 2 listed barns and the construction of a modern 2 storey extension. 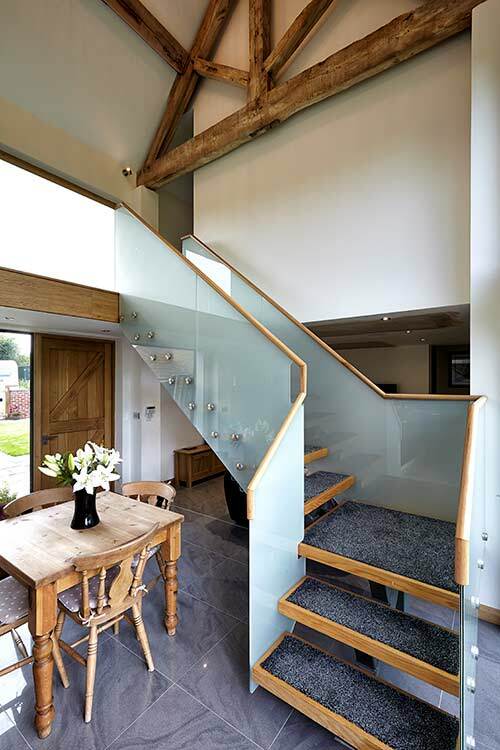 Phase 1 concentrated on the existing farmhouse which was in a particularly poor and dilapidated condition. 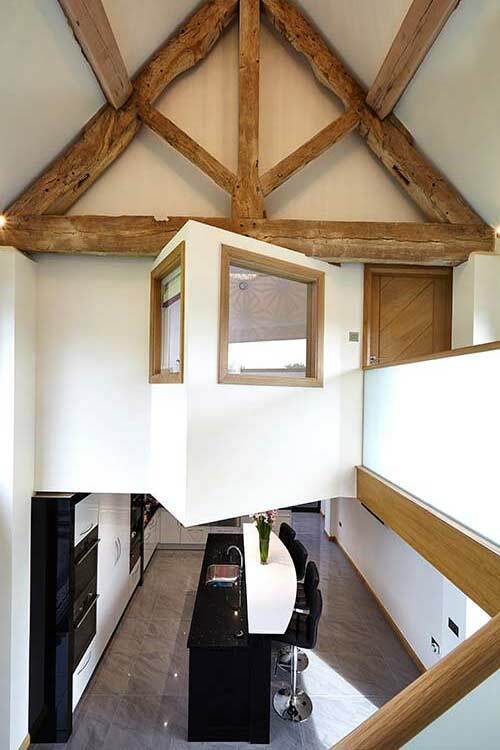 Extensive repair works were detailed and scheduled by BHB, centred around the roof which had many of the structural timbers replaced due to extensive rot. 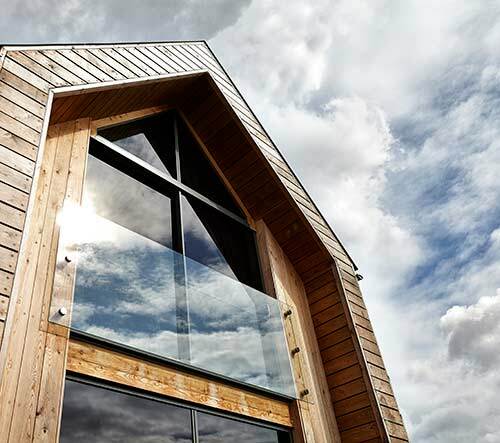 The external walls were also bowed and required new structural intervention. 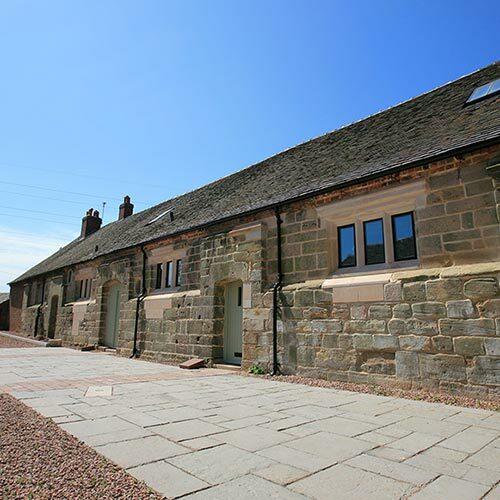 BHB undertook a programme of consultation with the local authority planning department and conservation officer, as well as an appointed archaeologist. 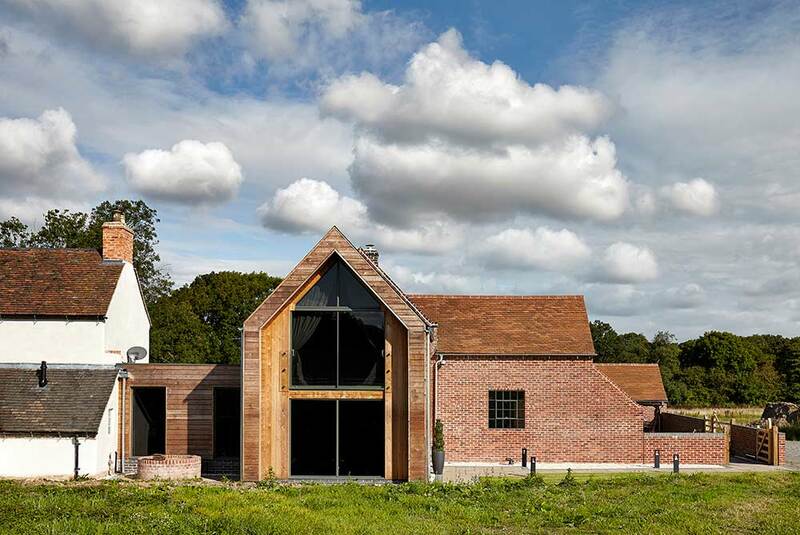 Through discussions, designs were approved that created a large family dwelling by converting and linking the existing barns with the farmhouse. 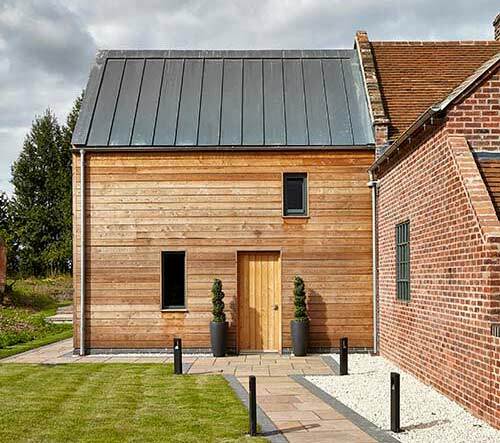 The extensions were designed to compliment the existing listed structures, with external materials such as larch cladding and zinc roofing chosen to reflect agricultural buildings seen on many nearby working farms.